Boston, MA (Mar. 28, 2019) – As the InsurTech industry evolves, the number of ecosystems, tools, and data elements increase, creating more demand on the PAS to produce more integration points through application programming interfaces and microservice-based technologies. The ability to seamlessly integrate internally and externally, with minimal effort, is key to the success of these platforms. Life and annuity carriers that are limited by legacy core systems will fall behind the industry due to the inability to adapt to new data, integrate with new systems, develop new products, or reduce overall operational expenses. The latest Aite Group report, AIM Evaluation: Life PAS Vendors’ External Third-Party Data Integration Capabilities, examines the life insurance and annuity core policy administration vendors in North America, with an overall focus on the integration capabilities of external third-party data and usage of API frameworks. The ability to seamlessly integrate internally and externally, with minimal effort, is key to the success of these platforms. Life and annuity carriers that are limited by legacy core systems will fall behind the industry due to the inability to adapt to new data, integrate with new systems, develop new products, or reduce overall operational expenses. “An influx of new data elements to be used in the life insurance and annuity industry and a growing acceptance of the insurance ecosystem have driven carriers to create solutions based on an open-API concept that fosters ease of integration and innovation among the carriers,” explains Samantha Chow, senior analyst at Aite Group. 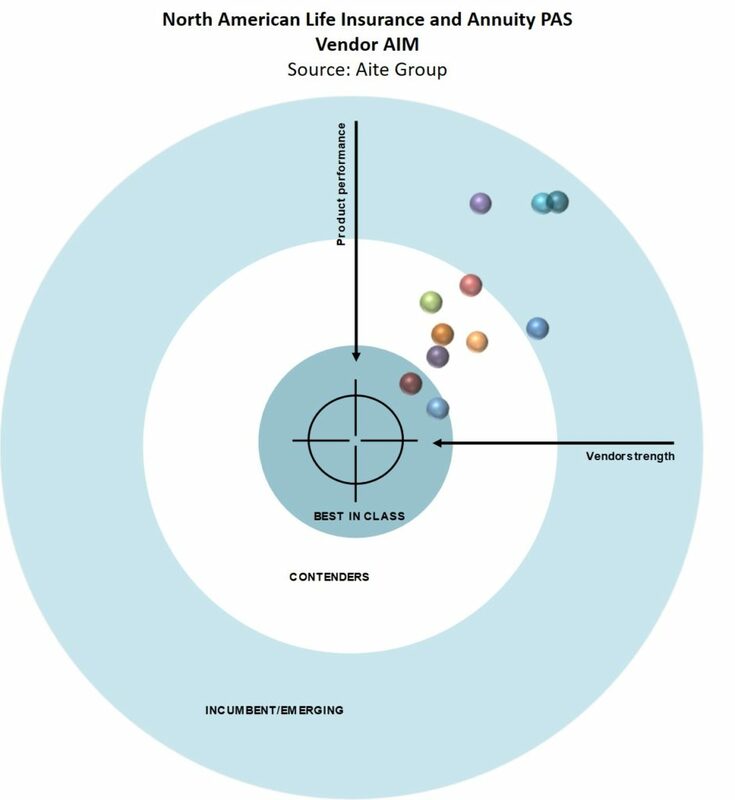 Leveraging the Aite Impact Matrix (AIM), a proprietary Aite Group vendor assessment framework, this new Impact Report evaluates the overall competitive position of 11 vendors, focusing on vendor stability, client strength, product features, and client services. This report profiles Accenture, Andesa, DXC, EIS Group, EXL, FIS Global, LIDP, Majesco, Oracle, Socotra, and Vitech. This 61-page Impact Report contains 24 figures and 12 tables.